← WIP Wednesday: Spinner’s Knee! 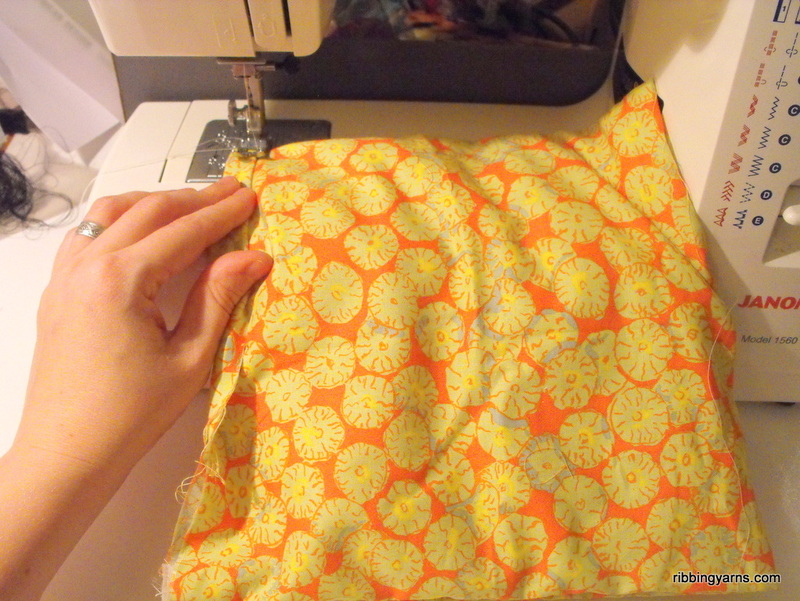 How to: Make a Quilted Notions Purse! 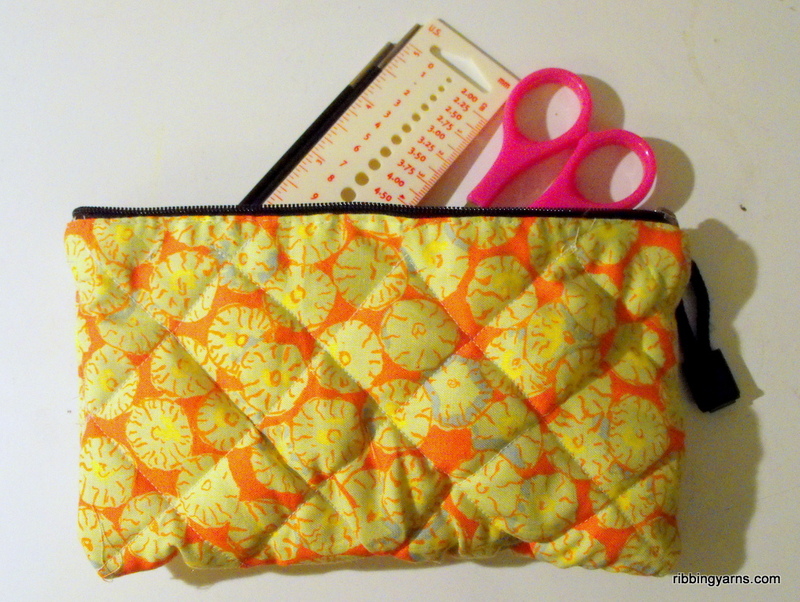 Easy to make, this quilted purse is perfect for keeping all your knitting notions in one place. If like me you occasionally find yourself hunting for stitch markers in unlikely places (because that’s where they always end up)- this pattern is for you! Get your hands on a beautiful piece of fabric. I couldn’t be bothered ironing mine, but it will make your purse look nicer if you do! 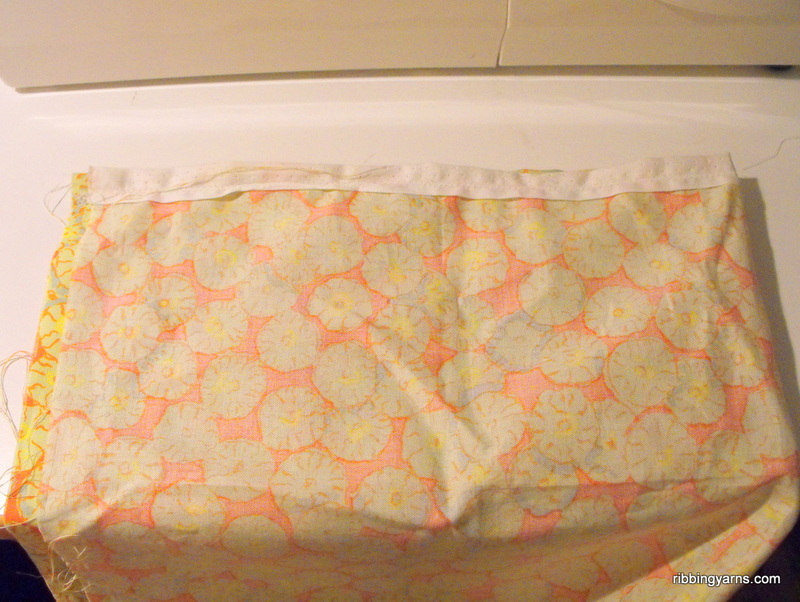 Turn your fabric over, wrong side (WS) facing up. Turn over both lengthwise edges to make a thin edge no more than 1cm, then pin it. 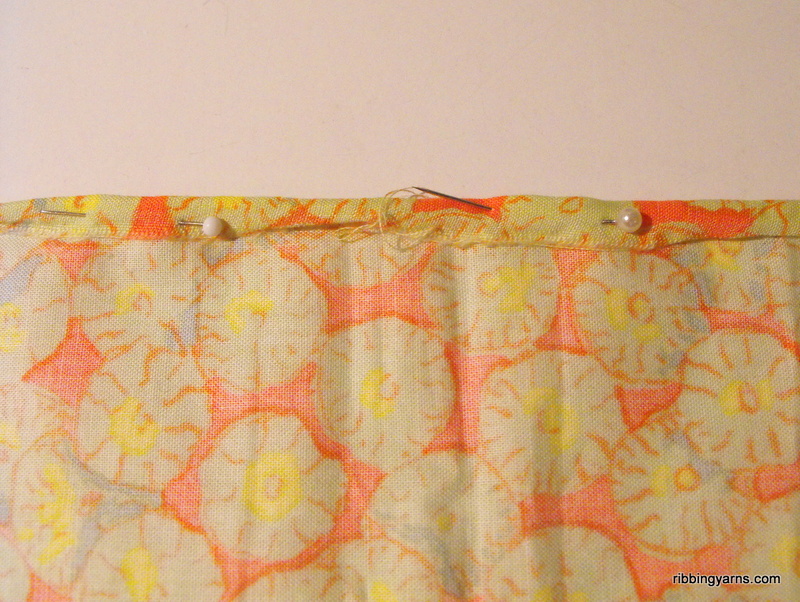 Sew these lengthwise edges down, removing pins as you go. 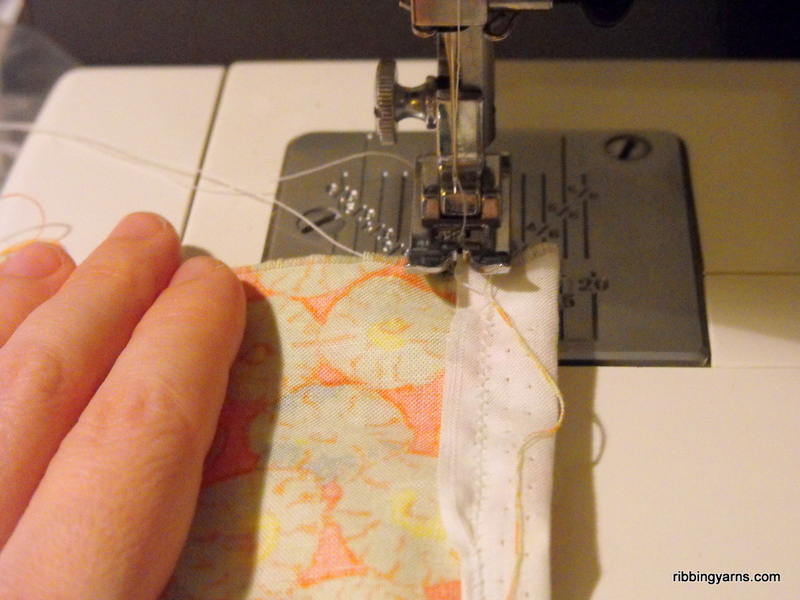 Use a zigzag stitch if you’re using a machine. 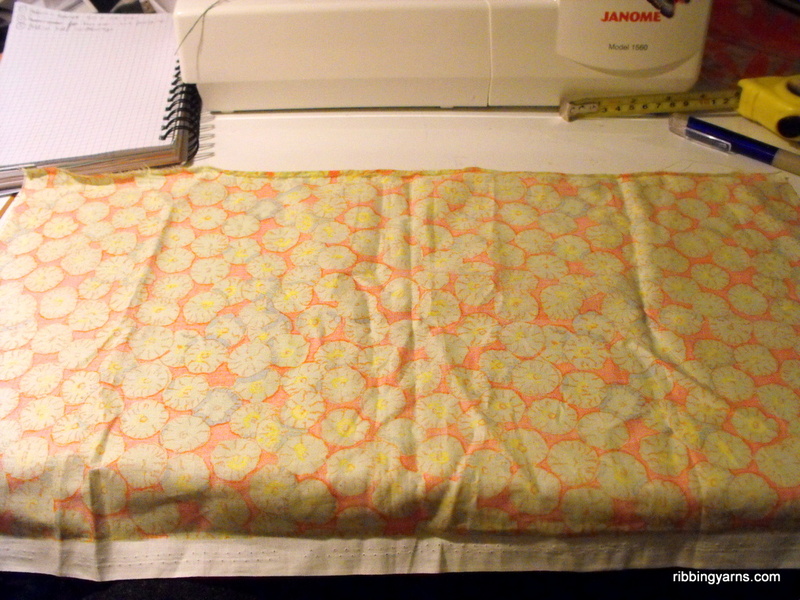 With right side (RS) facing up, Fold your fabric in half along the width. 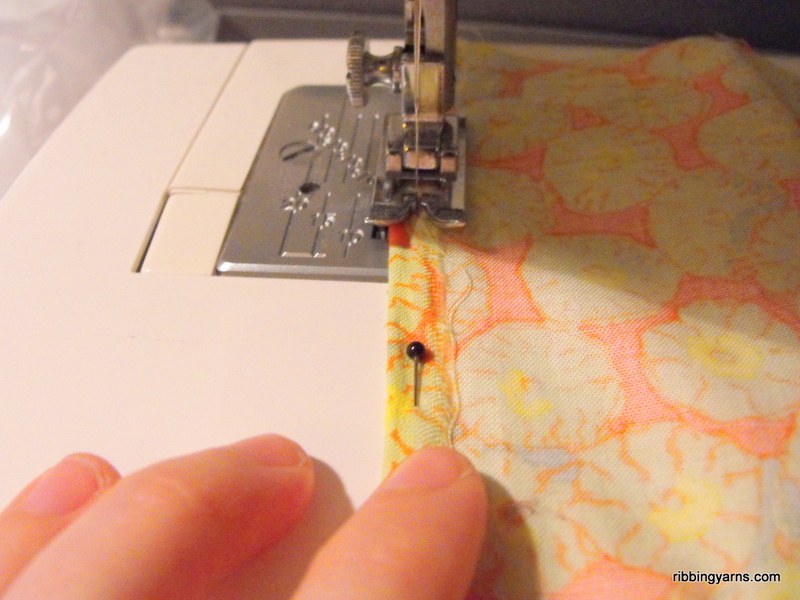 Use running stitch to sew the two sides up, leaving the top edge open. Stuff the bag with a little toy fiber filling, distributing it evenly. 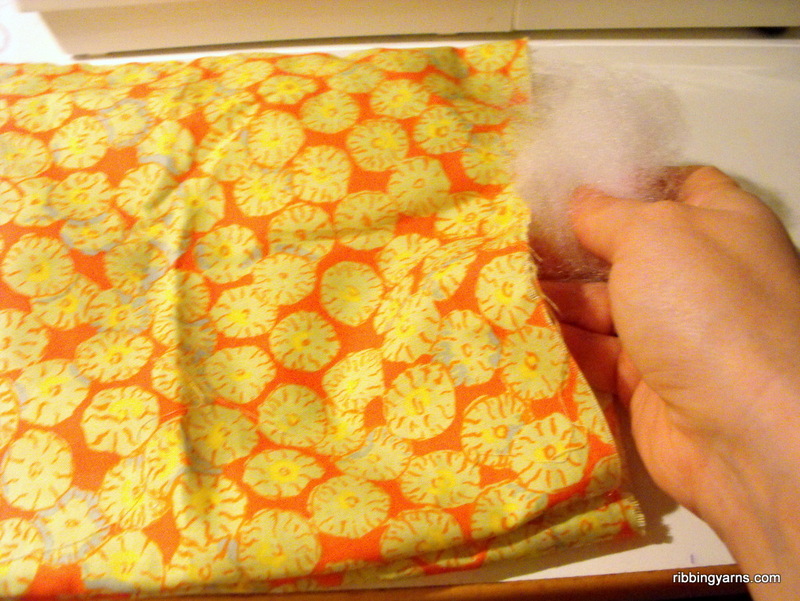 Tease the fiber apart a little- you’re aiming for a very thin layer rather than stuffing the bag full. 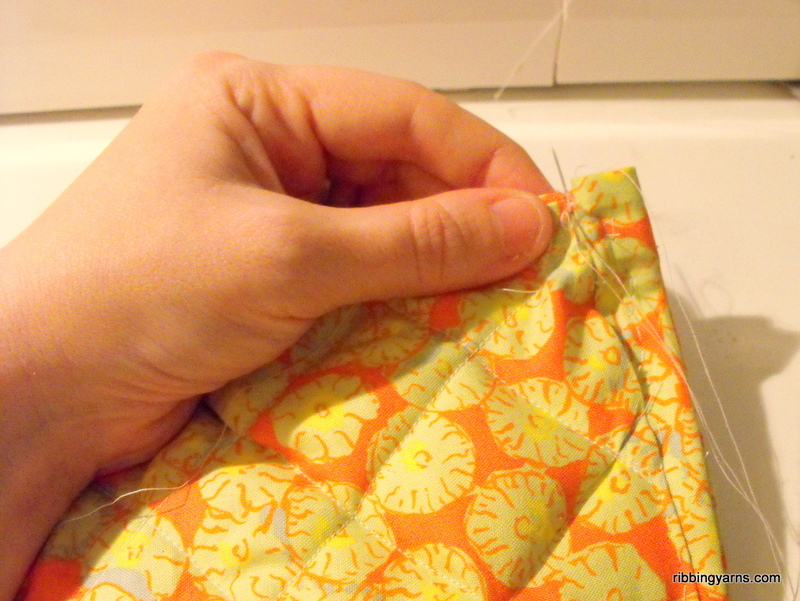 Fold the open edges over together by o.5cm, then once more to make a neat hem. Pin and sew with running stitch. The fun bit! You can either do this by eye if you’re feeling accurate or use pins/tailors chalk to mark out your quilting path. I opted for a classic diamond quilt. Start with the diagonals and divide up the sections from there. Take care that the fabric doesn’t bunch. Fold in half again and hand sew the sides neatly together using back stitch or another secure straight stitch, alongside the inside edge of previous hem stitches. Leave the top open. Pin and sew in your zip, hunt down the well-distributed accessories – et voilà! 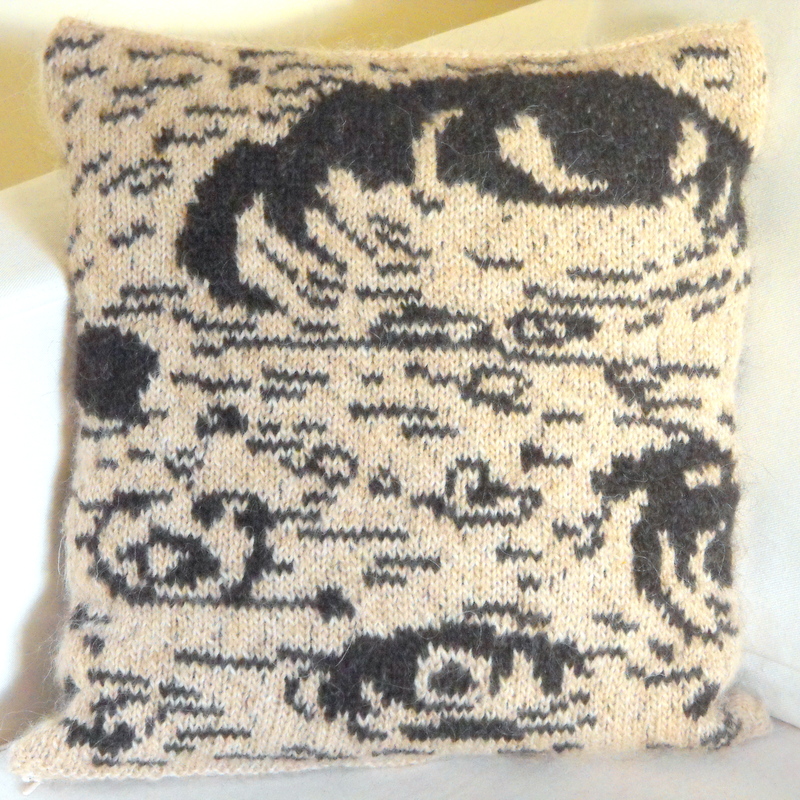 Your quilted notions purse is complete! 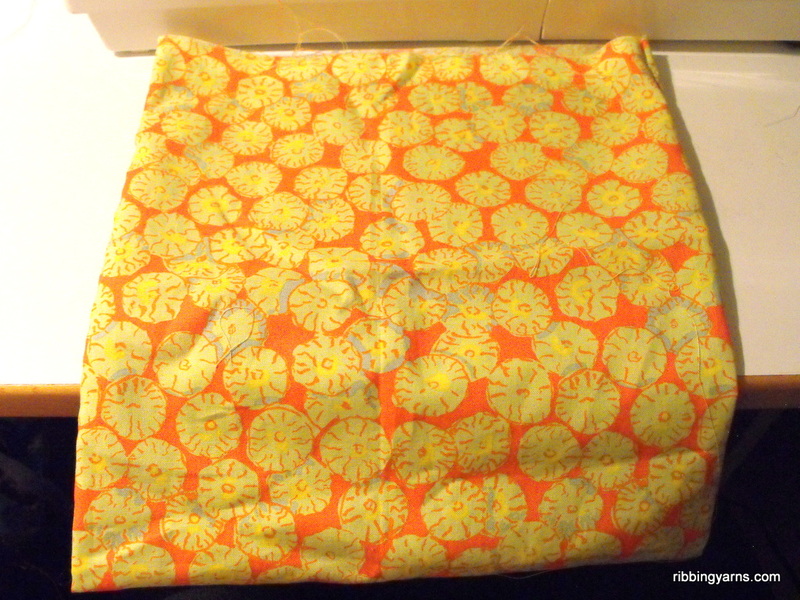 This entry was posted in How To, Sewing and tagged accessories, bag, bag pattern, Craft, craft diy, crochet, Handmade, How to make a bag, Knitting, knitting bag, knitting purse, makeup bag, notions bag, project bag, quilted notions purse, sewing, storage, zipped. Bookmark the permalink. 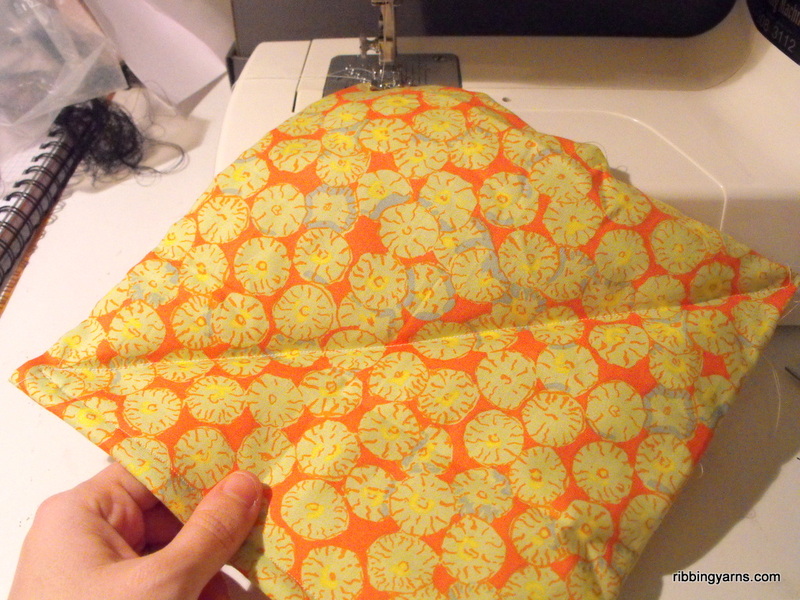 3 Responses to How to: Make a Quilted Notions Purse!